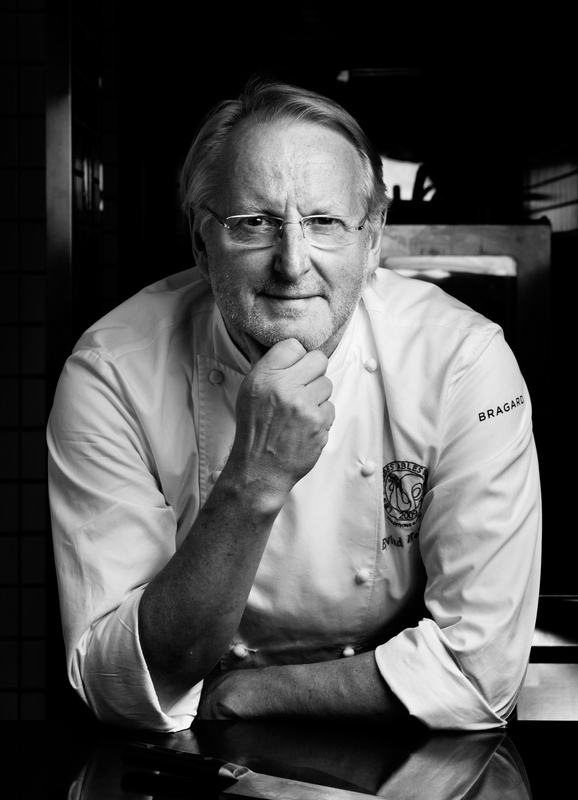 Eivind Hellstrøm is a Norwegian Master Chef and formerly part owner of Bagatelle restaurant, a two-Michelin-starred restaurant in Oslo. He was the president of the 2008 Bocuse d’Or Europe, and is frequently a judge at the Bocuse d’Or world finals. In 1989, he was himself a competition candidate, placing fifth. Hellstrøm is an author of several books, and he has also hosted the Norwegian television show ‘Hellstrøm rydder opp’, a Norwegian version of Gordon Ramsay’s Kitchen Nightmares, in 2008, 2009 and 2010. 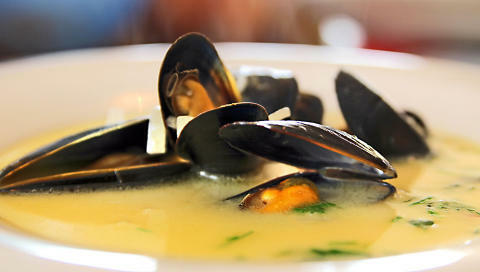 Here is one of his best fish recipes: Fish Soup with Halibut, Scallops, Mussels and Aioli. Wash and clean the mussels. Sauté minced shallots and minced garlic in a little olive oil, add the white wine. Bring to boil so that the alcohol evaporates. Add the mussels and the leaves from a sprig of thyme. Let it cook for a few minutes until the mussels have opened. Strain the broth into a separate bowl. Peel the potatoes and cut into small cubes. Heat some olive oil in a pan and fry the potatoes. Add saffron and the broth from the boiled mussels. Let it boil for a few minutes. Use a hand mixer. Clean the scallops and halibut, and cut them into thin slices. Brush the plate with olive oil. Place the fish and scallops on the platter, and cover with plastic wrap. Let it refrigerate while you make the aioli. Aioli: Chop the garlic in a small blender, add egg yolks and add olive oil until it reaches a mayonnaise consistency. Season with salt and cayenne pepper, and add some of the hot mussels’ broth. Insert the fish plate in the oven at 356oF / 180oC degrees for ca 30 seconds. Bring the fish stock to a boil and stir in 2-3 tablespoons of aioli. Pour the hot soup over the fish and serve.